A family home has been transformed into a spooktacular haunted house for Halloween. 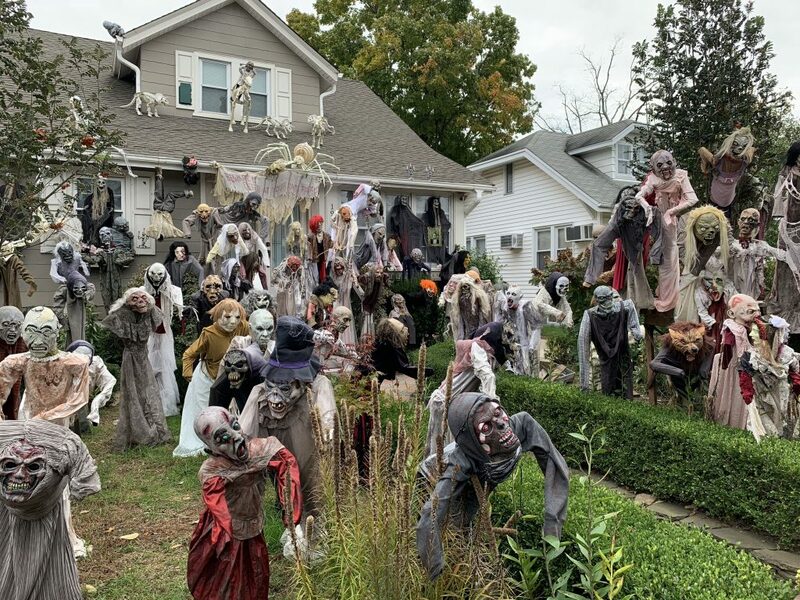 With dozens of masked giant figurines spilling across the front yard as well as the roof, this home owner in New Jersey has gone the extra mile. When Troy Iloski, 51, spotted the house while passing through the area and stopped to take photos. 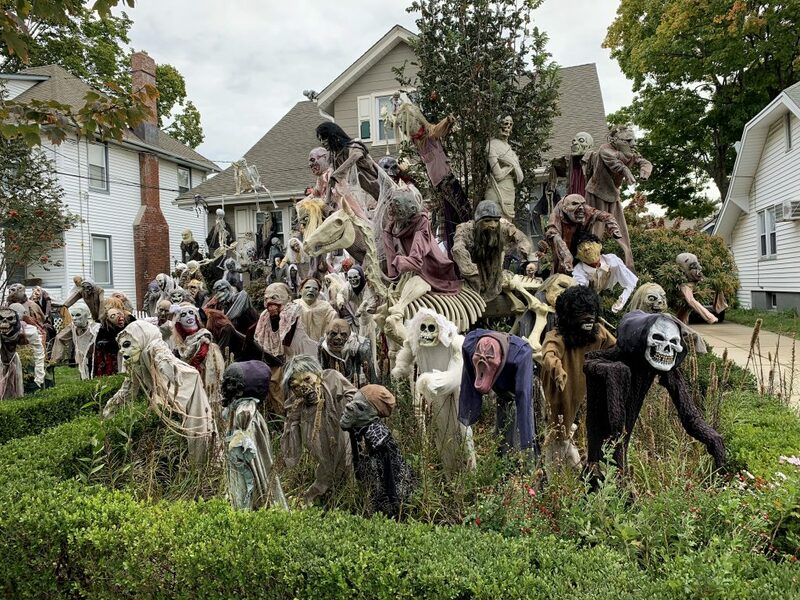 The electronic robotics engineer added: “I have seen many houses with a lot of Halloween decorations before but this one was exceptional. “I just had to stop and see everything. “It was absolutely amazing that I had to come back that night again and see everything under the full moon.